THE NEW FRANCOM COMPANY PLANT: UP AND RUNNING! 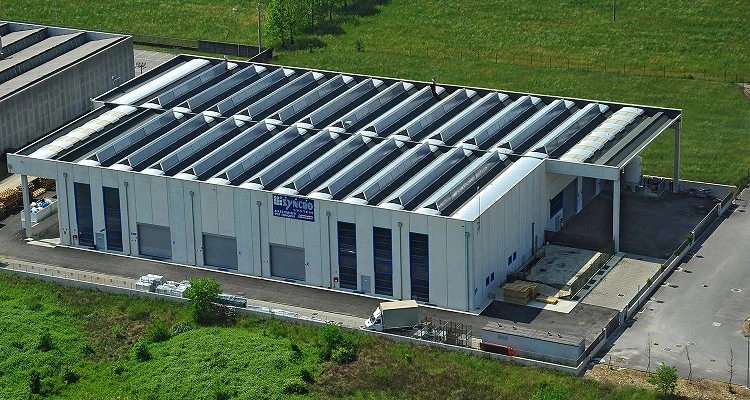 The new headquarters of Francom Incorporated – the main company of the group Syncro System for van upfits – keeps on growing. Just a few weeks ago, part of our new state-of-the-art plant officially started operating! 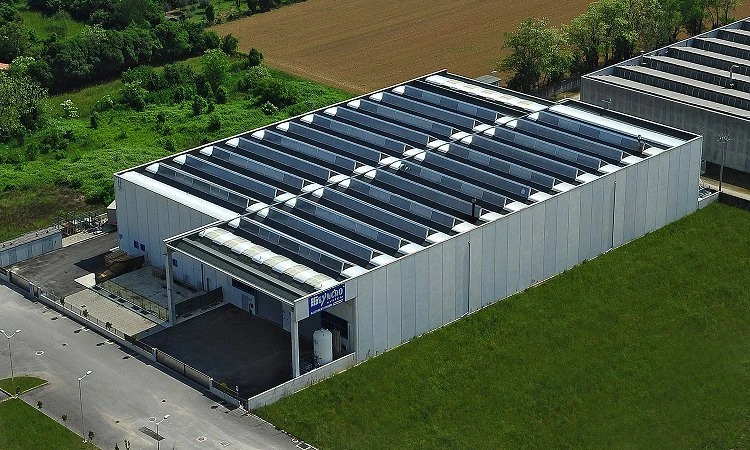 Francom Inc. in San Zeno di Cassola, Italy, started a huge new project in January of last year (2012) … work on our new headquarters. One year later, we are beginning to see the results of all our hard work and effort. 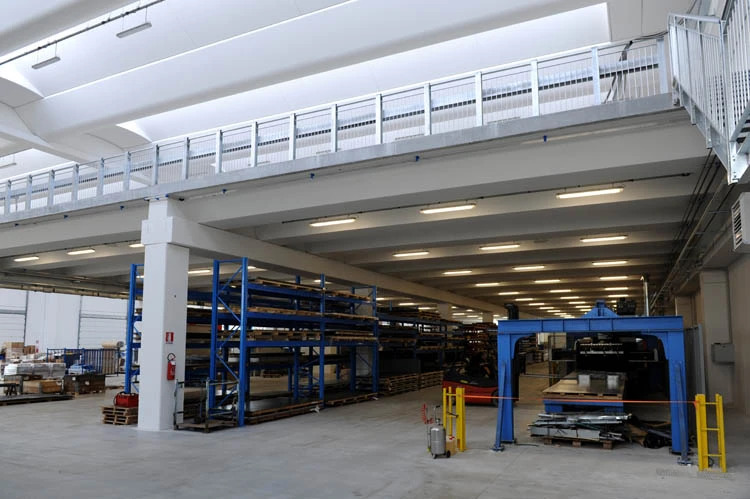 The warehouse, once completely finished, will house the entire operational facilities of the company. It is already operational for the phases of cutting and folding sheet metal and wood for the production of the protective paneling. The company will eventually completely move its old headquarters on Via Monte Pertica to Via Portile, just a stone's throw away. The next step, planned for 2014, will be to transfer the welding, painting, assembly and finishing phases to the upper mezzanine level of the west wing. In the east wing, there will be room for storage, packing, shipping and loading docks. The basement level will be divided between a low-rotation storage warehouse and parking. We plan to start the construction of the office building, consisting of three floors and a basement level, in 2015. 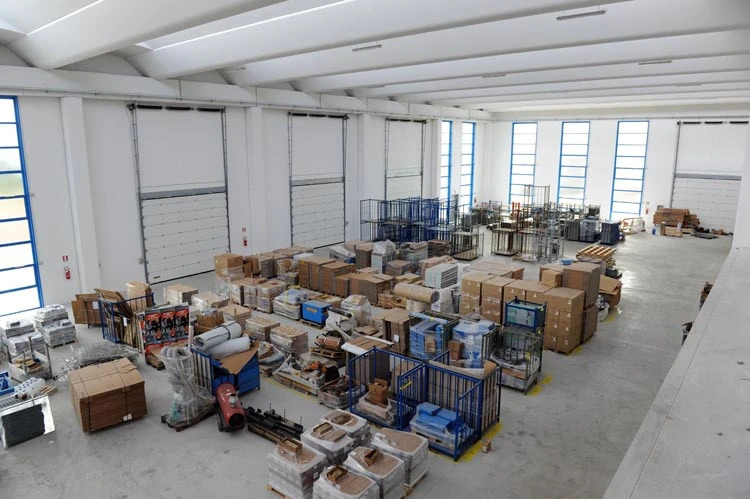 For now, the main offices are still in Via San Zeno, also including the advanced stages of production. The building for the new plant headquarters on Via Portile will cover a total of 6500 square meters and will be 10 meters tall. Subdivided into two distinct sections and comprised of one above-ground floor with mezzanine level and a underground basement level. In addition to the operating integrity and excellence that brings us to the final product (design/project phase, logistics, production, including installation and customer service), one of our main considerations has always been respect for the environment. The walls and roof are insulated for maximum energy efficiency, and the roof has been constructed to be able to install solar panels. Almost all interior lighting will be done by LED lights, which will reduce energy consumption by about 70% .